Jesus drew all people to himself, men and women, rich and poor, old and young. The gospels show that even at his birth he gave life to all. The artist describes their meeting in the portrait above. The two elderly people are transformed with wonder as they meet Jesus and Mary and Joseph. The old have an important role in the Christmas story. This entry was posted in Religion and tagged Anna, Jesus Christ, Passionists, presentation of Jesus, Simeon, Temple on December 29, 2015 by vhoagland. Duk Soon Fwhang, a Korean born artist with a deep respect for Mother Teresa who will be soon be canonized by the Catholic Church, has painted the Albanian born woman a number of times. The one above I find particularly moving. This entry was posted in Religion and tagged Catholic Church, Duk Soon Fwang, Mother Teresa, poverty, saints on December 28, 2015 by vhoagland. There were shepherds in that region, living in the fields and keeping night watch by turns over their flocks. The angel of the Lord appeared to them as the glory of the Lord shone around them, and they were very much afraid. But we are liars. For there’s nothing less romantic in each one of our daily lives, or more mundane. We simply have to be honest, or at least consistent. It all depends on how we look at it. If we see the shepherds in such a delicate light then we also need to see ourselves in the same. For before the angel appears, the shepherds were hardly posing for picturesque landscapes. Perhaps it is for this very reason—their realness, their authenticity, their holy simplicity—that the Lord choose them to be present when He revealed His glory. It is exciting. We have a wonderful choice, then. Either our “boring” lives make us the kind of people to which God prefers to reveal Himself, or our lives are a lot more “exciting” than we ever imagined. Either way, what is vital to making such a decision is true sincerity and genuine gratitude. We need to thank God for who He has made us, for where He has placed us, and for what type of task He has assigned us. A faithful, humble heart dreams and believes and sees great things among the most ordinary circumstances. Just look at the young virgin and the upright carpenter who the shepherds “went in haste” to find in a stable, adoring a child born within the company of the “lowest” of men. If we spend our time dreaming of being someone else, living somewhere else, and doing something else we miss the opportunity of being exactly who God intends us to be—and when that happens—we are always in the wrong place, at the wrong time, and most tragically, doing that which matters very little. 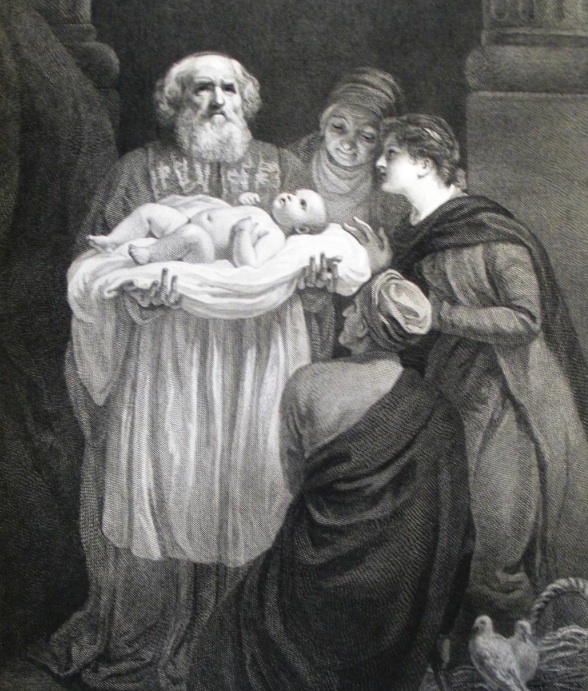 For to be the first on the scene, the first to “lay hold”, the first to adore the New Born King, is as good as it gets, even for those whose “normal existence” isn’t standing around all alone—day after day in the scorching sun or biting cold, while picking fleas from matted-down fleece or scaring off hungry wolves. “The angel said to them: ‘You have nothing to fear! I come to proclaim good news to you—tidings of great joy to be shared by the whole people. They went in haste and found Mary and Joseph, and the baby lying in the manger; once they saw, they understood what had been told them concerning this child. All who heard of it were astonished at the report given them by the shepherds. This entry was posted in Religion on December 25, 2015 by vhoagland. Don’t miss the Old Testament readings near Christmas telling us about the mystery we celebrate. In today’s reading from the Book of Samuel King David says to the Prophet Nathan that he’s going to build God a kingly palace like his own in place of the tent where the ark of the covenant was being lodged. It’s the right thing to do. Like the grand palace in the picture above. But God says in reply: “Should you build me a house to dwell in? I took you from the pasture and from the care of the flock to be commander of my people Israel.I have been with you wherever you went.” God chooses a poor stable to dwell in, when he comes. Hard to find the door to a palace. Easy to find our way into a stable. How often in the gospels Jesus is called “Son of David.” He is no passing visitor, come and gone. His kingdom endures; his throne stands forever. This entry was posted in Passionists, Religion and tagged 2 Samuel, David, Jesus Christ, Prophecy, Son of David on December 24, 2015 by vhoagland. Then, Mary goes “in haste” from Nazareth to visit Elizabeth who lives in the hill country near Jerusalem. The angel’s message, first disturbs her, then fills her with joy. She hurries to see the angel’s sign and share the promise she received. What does this tell us? Is it that faith, challenging and raising questions, spurs us on and gives joy. It’s God’s word; it’s true. Believe in it and act on it. We share in the mystery we hear. Believe in it, live by it, rejoice in it. This entry was posted in Religion and tagged Elizabeth, faith, John the Baptist, Mary, mother of Jesus, St. Ambrose on December 19, 2015 by vhoagland. It is utterly amazing what happens when we pray, when we ask God the Father for something in Jesus’ name—that is, when we sincerely ask for something that Jesus Himself would ask to be given. God answers such prayers, always. For it is then that we pray in union with the Sacred and Most Pure Heart of Jesus. I say “dare”, for how can we? How can we who are so unworthy enter such a light? It’s a good question. For we, by ourselves, can’t enter such a light. But Jesus can…and He did and He does and He always will. …if we allow His “zeal” for His Father’s “house” to “consume” us, to consume us with the fire of His love—with the fire of the Holy Spirit—that divine, unifying love, shared between Eternal Father and Only-Begotten Son. Then shall we be God’s holy dwelling place—His Tabernacle—purified and cleansed, “holy and righteous in His sight all the days of our life”. And we shall be free, “free to worship Him without fear”. For it will “no longer” be us “who live”, but “Christ Who lives in” us. And Christ Jesus freely enters the light of the Father’s face. Lord Jesus, enter my heart. Lord Jesus, purify me, cleanse my heart. Lord Jesus, overturn the money-changing tables within me, those that serve my self and not God our Father. Lord Jesus, destroy the temple built by myself, to myself—destroy the temple of self-love—leave not one stone upon another and then rebuild it in Your own image. Lord Jesus, let your zeal for Your Father’s house completely consume me with the fire of Your love—the fire of the Holy Spirit—that divine, unifying love, shared between Eternal Father and Only-Begotten Son. Lord Jesus, enter the light of our Father’s face on my behalf. For I am not worthy to enter that light, but if You only say the word, my soul shall be healed. Lord Jesus, heal me of my scrupulous fear of myself, of my secret self-worship that places my weakness above Your forgiveness, my sin above the redeeming power of Your Most Precious Blood. Lord Jesus, Your mercy, Your Love, is infinitely greater than my unworthiness. You are The Word made flesh, and You are always present. You are The Word always being spoken. You are healing always being offered. I accept. I receive Your healing. You speak and I live. I thank You, Lord Jesus, for Your Cross and for Your Resurrection. I praise You for Your glory. This entry was posted in Religion on December 18, 2015 by vhoagland. John’s “voice” passes away. He no longer baptizes at the Jordan River. He cedes to the Word, and so should we. Our voice passes away; something of ourselves has to go– some of the things we hold dear, the friends who surround us, the institutions that have upheld us. Our way must give way to God’s way. We think so little of this. Listen again to Augustine: “What does prepare the way mean, if not be humble in your thoughts? We should take our lesson from John the Baptist. He is thought to be the Christ; he declares he is not what they think. He does not take advantage of their mistake to further his own glory. “If he had said, “I am the Christ,” you can imagine how readily he would have been believed, since they believed he was the Christ even before he spoke. But he did not say it; he acknowledged what he was. He pointed out clearly who he was; he humbled himself. This entry was posted in Passionists, Religion and tagged 3rd Sunday of Advent, Baptism, humility, Jesus Christ, John the Baptist, Passionists, prayer on December 16, 2015 by vhoagland.